Drilling companies have been fracturing oil wells almost since the first wells were drilled in the mid-1800s. In those days they used dynamite or nitroglycerine dropped in shallow, hard rock oil wells to crack the rock and stimulate the flow of crude oil and natural gas. It also was found to be a great way of waking up tired old wells where even pumps were not pulling much oil to the surface. By the 1930's the technique was getting more refined. Well production was found to be increased by using non-explosive methods like acid or high pressure fluids, usually water mixed with sand and chemicals to fracture the rock. 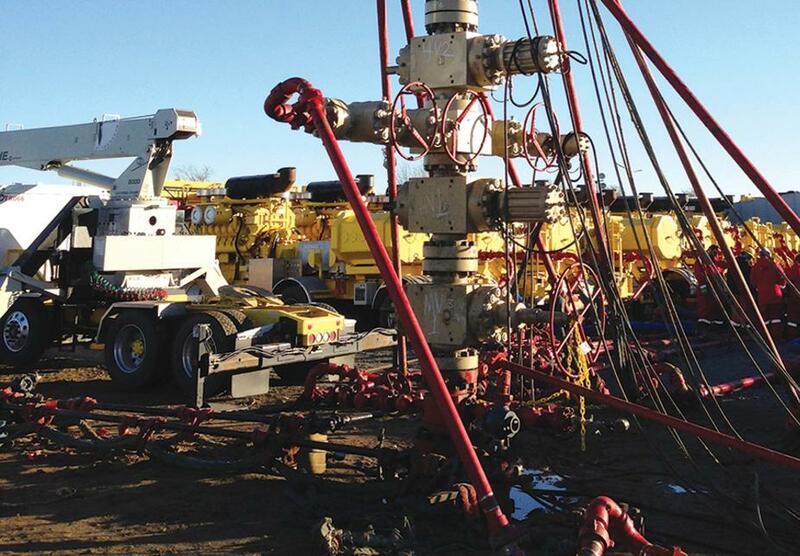 Now, with most of the easy oil fields exhausted, companies are using something called hydraulic fracturing to crack open deep formations of shale found to contain even more crude oil and gas. This new practice of fracking, however, is not good for the environment, and it is destroying what is left of America’s precious fresh water supply. That is because fracking involves the pumping of millions of gallons of water mixed with chemicals and sand, at high pressure, to break up rocks and release hydrocarbons. Not only is it destroying precious fresh water, but there appears to be a link between fracking and earthquakes that are occurring in areas where fracking has been going on. The process also produces toxic gases that are released in the air, and there is extreme ground pollution. Some major shale fracking operations are occurring at the Bakken site in North Dakota, the Eagle Ford Shale site in Texas and the Marcellus Shale site in Delaware and surrounding states. Fracking is presently going on in at least 17 states and oil companies have their eye on at various other areas where it should never be allowed. California's Kern County in Central Valley lies in the heart of the state's truck farming industry. Almonds, pistachios, grapes, cotton, carrots, onions, strawberries, citrus and a wide variety of fruits and vegetables that supply much of the nation's winter food harvest are produced here. It is considered such an important agricultural site that the area has been awarded first dibs on the water pumped from the Colorado River passing through the southern half of the United States. The Kern County area also is suffering once again this season from a crippling drought that has been plaguing not only California but much of the Southwest. And of course the area also is sitting on top of a deep underground rock formation called Monterey Shale that has drawn the attention of the oil industry. There is an estimated 13.7 billion barrels of recoverable oil deep under the soil, twice as much as in North Dakota's Bakken Shale. Consequently the battle has been on between agricultural interests and big oil over who controls California's Central Valley agricultural lands. Some fracking is already occurring. In 2013 Governor Jerry Brown and Senator Fran Pavley pushed through a bill that regulates “unconventional well stimulation techniques” that include fracking and acidization. But the legislation does not ban fracking and environmental groups are pushing hard for a total California ban. Brown appears to be unwilling to support such a ban. The California issue could be a major concern for everyone. If Big Oil wins the fracking battle in Central Valley the heart of the nation's fruit and vegetable farms may be threatened by the potential loss of even more fresh ground water. The world does not need the oil, but it sorely needs the food produced there. Because the battle continues to remain a hot button issue, a study of the economic, health and environmental impact of fracking has been requested by Brown and the state legislature. The result of the study is expected by July 1. Jack Pitney, professor of government at Claremont McKenna College, notes that Brown appears to be walking a tight rope between oil interests, the state-wide drought, the state's economy and the environment. The governor has been a supporter of green energy but Pitney says Brown is "going with a good deal of scientific evidence that suggests that fracking is environmentally safe." The second site of concern is Michigan, where the fracking of lands along the Great Lakes has not only been depleting one of the largest remaining bodies of fresh water in the world, but quickly contaminating them. In Kalkaska County alone, a single fracking site contaminated 42 million gallons of water. Encana Oil & Gas Inc. used 8.4 million gallons of water to fracture a single well and trucked the water from the City of Kalkaska's water system. Michigan voters will be deciding a ban against fracking operations when they go to the polls in November. The issue was forced on the ballot by a citizen’s group that petitioned for the vote. The world doesn't need the oil as badly as it needs to preserve whatever fresh water is left. Alternative green energy sources have been well established. The world no longer depends on the carbon fuels like it once did. But big oil interests are plunging ahead with fracking operations anyway. And it is all in the interest of big money.